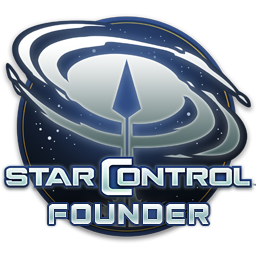 Q: What is Star Control? A: Star Control is a action/adventure originally developed by Paul Reiche and Fred Ford at Toys for Bob. Q: Yes yes, I know that, what is the NEW Star Control then? A: Back in the day, Accolade and later Atari became owner of the trademark and publishing rights for the original Star Control series. Stardock along with Paul and Fred all agree that the aliens and story elements of the classic Star Control series belongs to them. Q: Will Toys for Bob be involved in the new Star Control series? A: Maybe but probably not. Toys for Bob was acquired by Activision and is currently working on the Skylanders series. However, Paul and Fred have both expressed a desire to return to Star Control in the future. Q: How does Stardock plan to do a new Star Control series without the original story and aliens? A: The new Star Control will be a reboot with a new story and new aliens. The classic Star Control series (or at least, 1 and 2 which are what we consider as canon) will be preserved as the Ur-Quan continuity. This way, if/when Paul and Fred can return to the Ur-Quan universe, we can not only help ensure it is preserved but also make sure a new generation of gamers becomes aware of their magnificient creation. Q: How does Stardock plan to handle the new aliens? A: The new Star Control universe will be broken up into "star clusters". The base game will include the "Home" star cluster which includes the Earthlings along with a dozen or more new aliens presenting their own challenges to the player. Think of the 500 planet or so galaxy of Star Control 2 as being a star cluster in the new Star Control. In addition to providing a star cluster of this scope, we will also be including the tools for players to design their own ships (see GalCiv III), their own aliens, their own stories, star systems, star clusters, etc. Players can then literally make their own star clusters and upload them to add them to the Star Control universe. What aliens, stories, ships, and star systems people make will be up to them. Q: How will these star clusters work? A: In the base game, player will start 2112 with the first human contact with an alien race. From there, the humans will launch their first interstellar ship and begin exploring this area of the galaxy. The ship will be highly customizeable (both visually and in terms of equipment). Thus, by the end of the base game, the player's ship will have evolved into something truly unique while at the same time gathering a fleet of alien allies to fight the primary antagonist and their allies. By the end of the game, the player may want to explore other star clusters. From within the game, the player can visit other star clusters. The suite of tools we're creating will be called the Precursor workshop. If you've played GalCiv III or seen what we're doing with Ashes of the Singularity, you will have an idea of how powerful these can be. In essence, Precursors (the people using the workshop) will be able to make their own universes and share them with others from within the game. At the time of this writing, much of these tools have been created since we'll be using them to create the game assets with them. Q: When will the new Star Control be released? A: Not for awhile. We will probably have a closed beta well before it's released so that we can fully test out the above features as well as test out Super Melee (classic and new) and the multiplayer features. But the 25th anniversary of Star Control 2 is 2017. Q: Why not call it Star Control 4? A: Because that would imply a continuity with the Ur-Quan timeline. Besides, as far as we're concerned, only Star Control 1 and 2 are canon to the Ur-Quan universe that Paul and Fred created. Q: What will happen to the original series? A: Stardock continues to sell, publish and support the original Star Control series. We also hope to work with Paul and Fred in the future to ensure the rich universe they created continues to be supported. As the new Star Control gets further along, StarControl.com will get updated to provide timelines and more information on the classic series. Q: Any chance of a Star Control Classic HD remaster? A: Probably not. You can already download the Ur-Quan Masters. The community has done a great job with that. However, fans will certainly be welcome to use the Precursors tools to recreate their own vision of alternative Star Control continuities and share them with other players. I am definitely looking forward to seeing this Precursor Workshop. I'm imagining it's not a stretch to draw a parallel between this and what Valve has done with the Steam Workshop or the Source Film Maker. It's still early in development, obviously, but what sort of creative ceiling would fans be looking at in terms of developing their own content for clusters? I know you stated that no programming would be required, but seeing as how we're getting all the same tools you guys are using, what does the learning curve look like? I know this is all being done for the fans, of course, but do you plan on actively encouraging any user to just pick up the tools and start their own cluster, and if so, how will Stardock curate the content and quality of these user-created clusters? Perhaps a feedback system that allows us to rate the gameplay experience of clusters? I'm not at the forefront of what Valve does with the Steam Workshop, but they do profit from user-created content and I'm curious how that may inform the development of the Precursor Workshop. Will users be able to earn income from developing clusters, with Stardock taking a commission on the sale of DLC? Or is this all supposed to be a transactionless ecosystem?